A new report on the economy predicts Canada is about to start reaping the benefits of a strong U.S. revival. Learn more. Canada's troubled factory sector continued on the road to recovery, with a post-recession high of $50.9 billion in seasonally adjusted sales in March that built on an unusually strong result the previous month. Learn more. Toyota Motor Manufacturing Canada Inc. says it will launch a $27-million initiative at its Cambridge, Ont., plant that will help to reduce demand on the local and provincial power grids. Learn more. Chrysler Group's Brampton Assembly Plant has been honoured by the Canadian Industry Program for Energy Conservation with a Leadership Award. Learn more. 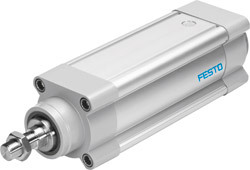 The electric actuator ESBF from Festo is available in 3 based barrel diameter sizes of 63, 80, and 100. They are designed to handle a wide variety of applications with maximum stroke lengths up to 1,500 mm, maximum speeds up to 1.35 m/sec and maximum output force of 17 kN. The actuators smooth surfaces (CleanLook), coupled with an available corrosion resistant option make it ideal for splash zones for the food and beverage industry. Electronic gauging probes provide the data collection capability for many of today's automated dimensional data acquisition systems. Widely used in machine tool inspection and gauging equipment, electronic gauging sensors serve as important components of quality assurance systems, providing dimensional feedback used for online quality control and post-process statistical analysis. But how do you know which gauge head is best suited for your specific application? Learn more.